On Monday, September 20th, the video for the new single, White Knuckles, from OK Go will premiere on The Ellen DeGeneres Show and then the band will perform the song on The Tonight Show with Jay Leno that same day. 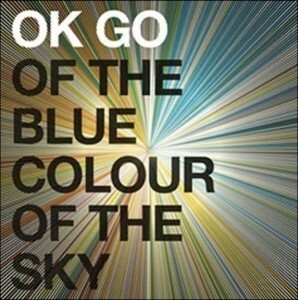 The single is the fourth from the band’s latest album, Of the Blue Colour of the Sky. OK Go will release Of the Blue Colour of the Sky Extra Nice Edition on its own record label, Paracadute, on November 2nd, which will include the original 13-song collection and a second disc packed with alternate versions, demos and covers (The Pixies’ Gigantic and The Zombies’ This Will Be Our Year). The second disc will also include an exclusive interview with OK Go and the album’s producer, Dave Fridmann, conducted by Ira Glass, host of the public radio program This American Life.